Aircraft leasing might sound like the kind of opaque financial business General Electric could do without, but chief executive Larry Culp is probably right to keep it. If he needs cash, he can sell some of its 1,900 jets. GE has been selling off business units to scale down its $110 billion debt load and become a leaner organization. Yet Mr. Culp seems much more eager to hold on to GE Capital Aviation Services, or Gecas, than his predecessor John Flannery. On Thursday, when GE announced fourth-quarter results, the new boss said there were “no plans” to dispose of Gecas. Private-equity firms have spent years buying aircraft for extra returns, and lessors’ bonds and asset-backed securities now look overvalued. Selling at the top of the market might seem like a great plan. But it is top of the market for the aircraft, not the lessors, many of whose shares now trade significantly below the book value of their assets. That suggests that right now the market is willing to pay more for Gecas’ planes than for Gecas itself. It would also be hard to find the right bidder. Many new entrants from China and the Middle East are starting to put the brakes on once-aggressive expansion plans amid fierce competition and concerns about a slowdown in global growth. Rumors of state-backed Chinese lessors buying Gecas have quietened down. Legacy competitors like AerCap and Air Lease Corp. could potentially acquire some of Gecas’ businesses, which span leasing of planes, helicopters and engines, as well as asset-trading services, but can hardly afford all of them. And because they’ve been more prudent, they can just wait for bargains if a downturn sinks the Chinese upstarts. That leaves private-equity firms such as Apollo Global Management , Blackstone and KKR . These still have hot money to pile into aircraft but may not pay as big a premium to gain market share in leasing. 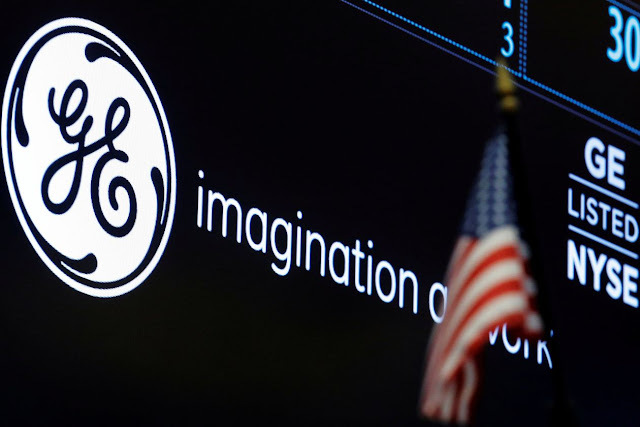 GE could end up with less than the $10 billion Gecas is estimated to be worth once debts attributed to it are paid off. A more strategic reason for GE to hold on to the unit is the importance of its jet-engine business. Given the decline of the power division, aviation is now GE’s top income generator, with operating margins above 20%. Gecas has played a big role in this success by placing large upfront orders for jets with GE engines and leasing out spares—a great incentive for Boeing and Airbus to choose those engines in the first place. In return, Gecas gets favorable financing from its big parent company. Despite recent worries about its debt being downgraded to junk, a GE that manages to survive will be rated investment grade. Cheap debt is a big privilege for a business based on spreads between borrowing and lending. Gecas may not need such a large aircraft portfolio. But the leasing unit is worth much more to GE than to anyone else.